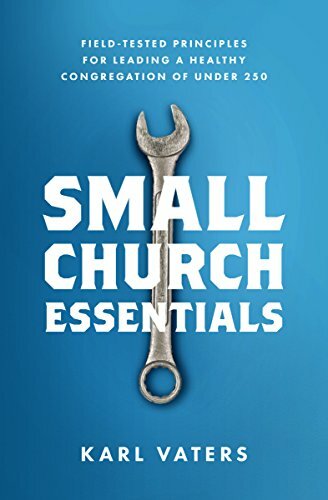 If Your Church Is Healthy, Why Is It Still Small? It's a valid question. I wish I had a tidy answer. But here's what I do know. But I still don’t know how to answer it. I wish I did. Because it’s a perfectly valid question. But life doesn’t tie itself up in tidy answers to tough questions like we wish it did. At least it hasn’t for this question. Not for me and the great church I serve. Not yet, anyway. It's not like I'm keeping the church small on purpose. I've been working on church health and growth for decades. I've read all the books, attended all the conferences, worked, prayed, preached, removed growth obstacles, consulted with experts, sought wise counsel, and done everything else I know to do to help the church grow. And it has, somewhat. From about 30 to about 180 in 24+ years. With plenty of ups and downs along the way. But I live in a highly populated area. If any church should be busting through the 200 barrier and more, ours should. Sure, I’ve thought of every excuse imaginable. For instance, our church sits on a very small piece of land in a ridiculously expensive city. No doubt, the building is a growth choke point. But that hasn't stopped lots of other churches near us from having explosive growth and buying more land, so I can't use it as an excuse for us. So why does our church remain small? Even after writing a book and five years of blogging about it, I still don't know why. There are a lot of churches – most churches, in fact – that stay small despite years of healthy, missional work. But I know I'm not alone. There are a lot of churches – most churches, in fact – that stay small despite years of healthy, missional work. So I won't offer excuses. And I won't give up trying to help this wonderful, healthy church move towards numerical growth. But if the numbers don’t come, I won't beat myself up about it anymore. I won't let the question in the title of this post – one that will continue to be asked by well-meaning people – make me feel guilty. I won’t get jealous of churches that keep leapfrogging past us as they bust through growth barrier after growth barrier. I’ll celebrate it. We’re on the same team, after all. And I won’t ever let the pursuit of numbers be a higher priority than the pursuit of health, mission and passion. If we have those and the numbers come, great. If we have those, but the numbers don’t come… still great.